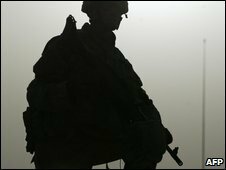 It is current army policy to send pregnant soldiers home, but Maj Gen Anthony Cucolo told the BBC he was losing people with critical skills. That was why the added deterrent of a possible court martial was needed, he said. The new policy applies both to female and male soldiers, even if married. It is the first time the US Army has made pregnancy a punishable offence. Gen Cucolo told the BBC it was a “black and white” issue for him. He said married soldiers in combat zones should either put their love lives on hold – or take precautions. “So I’m going to take every measure I can to keep them all strong, fit and with me for the twelve months we are in the combat zone,” he said.